Best Tracker Bluetooth Smartphone GPS - Tracking Device. Key Tracker. Find wallet. Phone Finder. Item Search. by Leuri at iShare Maps. Hurry! Limited time offer. Offer valid only while supplies last. Leuri TRACKER is the 21st-century solution to Forgotten, Lost or Stolen Keys, Wallets, Phone, Bag or anything that you might urgently need to find. Leuri TRACKER is the 21st-century solution to Forgotten, Lost or Stolen Keys, Wallets, Phone, Bag or anything that you might urgently need to find. Keep your items tracked simply using the app on your phone. If your device is not on this list but uses Android 4.4 and Bluetooth 4.0, there is a good chance Leuri will work fine, but we are not able to offer the same level of support in troubleshooting scenarios. One of the World Bluetooth Trackers , Modern, Lightweight Leuri Smart TRACKER can be simply attached to your Item and be easily seen on a Map by giving you an Alert. Last known Location and Time is always on record. 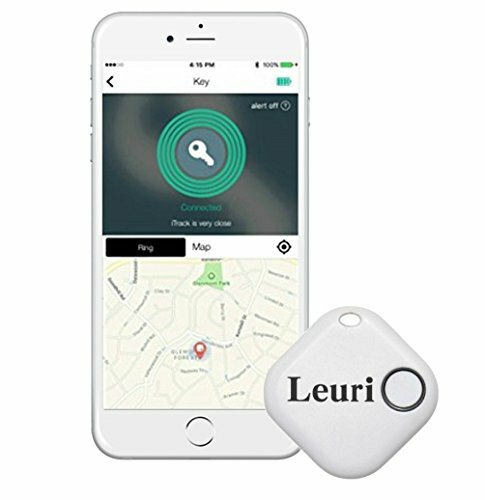 Use a free application for IOS and Android, to connect to Leuri TRACKER via Bluetooth, to keep track of your keys, parking, laptop, tablet PC, luggage, mobile phone, wallet, purse, camera, backpack. ln case of lost or disconnected tracker,app records it s last known location on the built-in map. Taking family photos? Use Leuri as a shutter button for your phone camera. Find the smartphone at once! Just press the button on Leuri, your lost smartphone will find quickly and easily. With Leuri you spend less time on searching for your lost keys, phone,..., instead you can enjoy this time by doing the things you love. Connection makes, between phone bluetooth and a tracker. In the open air makes up to 150 feet, indoors makes up to 95 feet . Leuri works effortlessly through walls and ceilings. If you have any questions about this product by Leuri, contact us by completing and submitting the form below. If you are looking for a specif part number, please include it with your message.